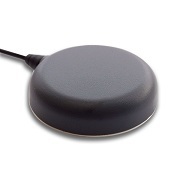 Tallysman Wireless' compact antenna TW4821 covers the BeiDou, Galileo, GPS, and SBS frequency band. It is suitable for high accuracy uses and provides great signal rejection when out of band. 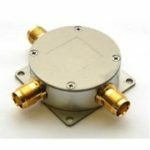 Tallysman Wireless’ compact antenna TW4821 covers the BeiDou, Galileo, GPS, and SBS frequency band. It is suitable for high accuracy uses and provides great signal rejection when out of band. The product is equipped with an element for dual-feeding wideband. Multipath rejection is excellent and carrier phase response improved for the complete frequency bandwidth. Two feeds are combined and input to a LNA amplifier, mid-section SAW, and another low noise gain phase. The TW4821 is the smallest available dual feed, high performance antenna and comes in a compact, weatherproof, magnetic mount case. A wide range of connectors are compatible with this antenna. Applications include military, security, surveillance, fleet management and asset tracking. 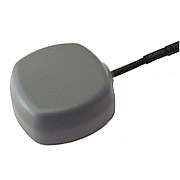 This antenna functions well in harsh environments. The TW4821 antenna can be ordered from Blue Planet Geomatics. If you would like to learn more about the features of this product, please don’t hesitate to contact us using the Request Pricing form.